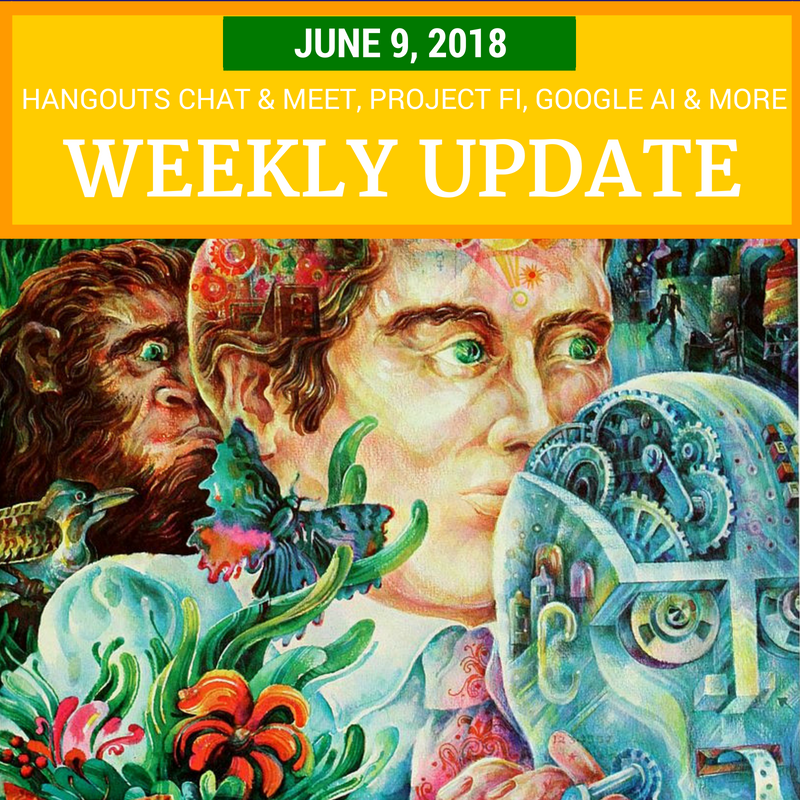 There’s news inside and outside the Googleverse this week:updates to Hangouts Chat and Meet, Google laid out their principles for developing Artificial Intelligence, new Facebook Live features for gamers and lip syncers, and a look at the highlights of Apple’s announcements at WWDC 2018. And much more! Hangouts Meet video calling will be compatible with existing meeting room hardware, including Polycom and Cisco. Plus Microsoft Skype for Business users will be able to join a Meet video call directly from the Skype app. And if Hangouts Meet isn’t your thing, third parties will be able to create add-ons for Google Calendar to let join video calls for services like Webex, GoToMeeting, Vidyo and more, right from a Calendar Event. Hangouts Chat will (finally) be able to include people from outside of your G Suite organization in Chat. That will be available in the “coming months”. Project Fi now lets you add your kids to your group plan using Google Family Link. Easily manage your kids’ data and app usage, for good mobile coverage at a great price. Facebook creating a space for live streaming gamers - fb.gg - presumably to encourage Twitch and YouTube Gaming streamers to use Facebook Live instead. There are also two new programs: “Level Up” to provide tools for up-and-coming streamers, and “Facebook Stars” to let popular streamers monetize their content. Google has shared their principals for AI development, including being socially beneficial, accountable, and incorporate privacy design principles. They will not design AI for weapons or for surveillance “violating internationally accepted norms”. This comes after Google employees lead a campaign against the company working on Project Maven, a US military program that uses machine learning to improve targeting for drone strikes. Google has announced they will not review their contract for the project when it expires in 2019. Google released Android P beta 2, with many new emoji (vegan salad, lobster, redheads and more). Get Android P to see what else in new. At the Apple WorldWide Developers Conference, Apple announced Safari will stop supporting legacy plugins and has new anti-tracking features. There are new "Screen Time" features (similar to Google’s “Digital Wellbeing”) to limit your time online, Facetime will let you have group video chats with up to 32 people, plus new Animoji and “Memoji” - Animoji that look like you and more. See the links below for all the announcements. What was missing? No new hardware this year. Sports your thing? Gamers and eSports fans can watch E3 live on YouTube or Twitch. Or if soccer is your thing, you can get FIFA World Cup news, match recaps, and game highlights on official channels on YouTube, plus features in Assistant, Search and Maps to keep track of what’s happening. See my article below for links and more tips and updates for YouTubers, Google Plussers, business owners, users of Gmail, Keep, Calendar, Slides and more.